Celtic heroes and gods, as well as powerful Irish saints and kings? Finding the most unique Irish baby boy names that will be perfect for your baby isn't enough. I also tell you what they mean, how to say them, alternative ways to spell them, and how they originated. One thing to keep in mind about the way these names are pronounced, however, is that different sources recommend different pronunciations. So your best bet is to find a name that has special meaning for you and just use the pronunciation you feel most comfortable with. Perhaps you'll find a unique Irish baby boy name by tracing your family tree. Then come back and look up its meaning here. I believe the best Irish baby boy names are unique, strong, and distinctive. I love the names that stand for the most honorable qualities of great Celtic Irish men...like strength, courage, wisdom, and devotion. So, rest assured, you will not find every single Celtic or Irish baby boy name I ever came across in my years of research about Ireland's rich history and culture. That would fill volumes! I chose instead, in keeping with my passion for the romantic side of the Emerald Isle, to feature only my favorite Irish baby boy names, which were chosen because of the powerful nature of their pronunciations, because I admire the charismatic Irish men (mythical or historical) who shared the names, or both. Regardless of which name you choose, where you find it, or how you say it...I hope you will find the perfect unique Irish baby boy name...the one that inspires you and feels right for your baby boy. Amargein - (aw-VEER-een) From the Old Irish amar, meaning 'singing, song' + gein, meaning 'birth'. This is a traditional Irish baby boy name in the O'Cleary family. But the most famous man to bear this name was the druid, poet, and judge of the Sons of Mil, the legendary ancestors of the Irish people. Amargein is credited with giving the first judgements on Irish lands, and the Sons of Mil were able to triumph over the Tuatha Dé Danaan because of his magical powers. Aodh - (AY) From the Old Irish ed, meaning 'fire'. This was another name for the mythical Irish god, Dagda. Six high kings and twenty saints bore this Irish male name, making it one of the most popular names in ancient Ireland. Aodh was also the name of two famous rebels against Queen Elizabeth I, Aodh (Hugh) O'Neill and Aodh Rua (Red Hugh) O'Donnell. Anglicized version: Hugh. Aodhán - (AY-den) Derived from the Old Irish word aedh, meaning 'fire'. An earlier Irish version, Áedán, was the name of twenty-one Irish saints, including Saint Áedán of Iona who founded a great monastery on the island of Lindisfarne. Saint Aodhán used the monastery of Lindisfarne as a base to evangelize Northern England. In art Áedán is usually represented as a stag, a reference to the legend that he saved a deer that was being hunted by making it invisible. Anglicized version: Aidan. Aonghus - (AYNG-guhs) From the Old Irish oen, meaning 'one' + gus, meaning 'vigor'. The Old Irish version of this name, Óengus, honors the god of youth and love, who was the son of the goddess Boand and the god Dagda. One of the most famous Irish folklore heroes is legendary Óengus Tírech, who is the ancestor of the O'Brien and MacNamara families. Five saints were named Óengus, including Saint Óengus Ceile Dé, whose feast day is celebrated March 11. Anglicized version: Angus. Bran - (BRAWN) This Irish baby boy name was very popular throughout the medieval period and was common in the O'Byrne family. Derived from the Old Irish bran, meaning 'raven', Bran was the name of a great Celtic god in both Irish and Welsh mythology. In The Voyage of Bran, Son of Febal, Bran takes a journey from Ireland to the Otherworld "Island of Joy" and "Land of Women". Cáemgen - (kwee-VEEN) From the Old Irish caem, meaning 'beautiful' + gein, meaning 'birth'. This is a classic Irish baby boys name, although the anglicized version is more well-known. June 3 is the feast day of Saint Cáemgen, who founded the great Glendalough monastery in County Wicklow during the 7th century. Modern Irish version: Caoimhín. Anglicized version: Kevin. Cian - (KEE-an) From the Old Irish cían, meaning 'enduring, ancient'. This was a common boys name in the O'Hara family. According to Irish legends, Cian was the father of Lugh, and the son of Dian Cécht, the god of healing of the Tuatha De Dánaan. Although this would be considered a unique boy name in America, it is actually quite popular in Ireland. According to Ireland's Central Statistics Office, Cian has been one of the top 10 most popular Irish baby boy names for the last four years. Click here for more popular Irish boy names. Ciarán - (KEER-an) From the Old Irish ciar, meaning 'dark' + the diminutive suffix an. This is a very popular Irish baby boy name, greatly in honor of Saint Ciarán, who founded the Clonmacnoise monastery. His feast day is September 9. Anglicized version: Kieran. Although this would be considered a unique boy name in America, it is very popular in Ireland. According to Ireland's Central Statistics Office, Ciarán has been among the top 40 most popular names registered to baby boys in Ireland every year since they began publishing the report in 1998. Click here for more popular Irish boy names. Coinneach - (KON-ik) From the Old Irish male name Cainnech, which is derived from cáin, meaning 'good and beautiful'. The Aghaboe monastery in County Laois was founded by Saint Coinneach, along with many other monasteries throughout Ireland and Scotland. His feast day is celebrated October 11. Anglicized versions of this Irish baby boy name include: Kenneth and Kenny. The popular Irish city, Kilkenny, takes its name from Saint Coinnech. Colm - (KUHL-uhm) Derived from the Latin columba, meaning 'dove'. This is a classic Irish baby boy name, meaning "dove of the church", in honor of the 6th century Saint Colm Cille (Columba), who was one of the most highly regarded saints in Irish history. His importance to devout Irish Catholics is surpassed only by Saint Patrick and Saint Brigid. Saint Colm Cille was born into the royal Uí Neill clan in Donegal. But after he allegedly copied a manuscript without the owner's permission, he was banished to Scotland. He is credited with converting the pagan Scottish kings to Christianity and founded the great monastery of Iona. His feast day is celebrated June 9. Although Colm would be considered a unique boy name in America, it is very popular in Ireland. According to Ireland's Central Statistics Office, Colm has been among the top 100 most popular names registered to baby boys in Ireland every year since they began publishing the report in 1998. Click here for more popular Irish boy names. Colmán - (KOHL-mawn) Although this is the diminutive form of the name, Colm, listed above, it is listed separately because of its sheer popularity. More than 200 Irish saints shared this name, according to early Irish church records. Several of the most famous monasteries in all of Europe were founded by the Irish native Saint Columbanus, whose name at birth was Colmán. Among these highly honored monasteries were the Bobbio in Italy and the Luxeuil in France. Saint Columbanus' feast day is celebrated November 23. Conaire - (KAW-ni-re) This is an ancient Irish baby boy name, derived from the Old Irish cú (con), meaning 'wolf, hound' + aire, meaning 'landowner'. This Irish baby boy name is primarily associated with the hero of the story, The Destruction of Da Derga's Hostel, High King Conaire Mór (Big Conaire). According to legend, he was the son of a princess and a bird-man, and was forbidden to hunt birds. Conall - (KAW-nal) From the Old Irish cú (con), meaning 'wolf, hound'. Conall is an Irish baby boy name shared by many honored men from both history and folklore. Conall Cernach was a legendary Ulster hero. Another prominent Conall was Conall Gulban, who was the great-grandfather of Saint Colm Cille and the ancestor of the O'Doherty, O'Donnell, and O'Gallagher families. Conn - (KOHN) This is an ancient Irish baby boy name, most likely derived from the Old Irish cu, meaning 'wolf, hound'. The most famous Conn in Irish history is the legendary High King of Ireland, Conn Céthchathach (Conn of the Hundred Battles). Many families claim him as their ancestor, including the O'Conner, O'Donnell, O'Dowd, O'Flaherty, O'Neill, and O'Rourke families. Cormac - (KAWR-mak) Cormac was the name of several bishops, saints, and kings, including the ancestor of the O'Neill family, legendary High King of Ireland, Cormac mac Airt. This has been a very popular Irish baby boy name since the earliest times. 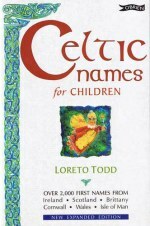 Although Cormac would be considered a unique boy name in America, it is very popular in Ireland. According to Ireland's Central Statistics Office, Cormac has been among the top 100 most popular names registered to baby boys in Ireland every year since they began publishing the report in 1998. Click here for more popular Irish boy names. Diarmuid - (DEER-mit) From the Old Irish male name, Diarmait. This was a traditional baby boy name in the McCarthy, McDermott, O'Brien, and O'Connor families. According to Irish folklore, Diarmaid was one of Finn mac Cumaill's warriors. Legend has it that he was blessed with a mark on his face which caused maidens to immediately fall head over heels in love with them as soon as they saw him. Anglicized version: Dermot. Although Diarmuid would be considered a unique boy name in America, it is very popular in Ireland. According to Ireland's Central Statistics Office, Diarmuid has been among the top 100 most popular names registered to baby boys in Ireland every year since 1999. Click here for more popular Irish boy names. Domnall - (DOH-nal) From the Old Irish domun, meaning 'world' + gal, meaning 'ardor and valor'. Since Ireland's earliest times, this has been a very popular Irish baby boy name. Five High Kings of Ireland shared this name, including Domnall Ilchelgach (Dónal of the Many treacheries), who was the ancestor of the MacLoughlin and the O'Neill families. Modern version: Dónal. Donn - (DOWN) From the Old Irish donn, meaning 'brown or chief'. This was an especially popular Irish baby boy name until the end of the 19th century, particularly in the Maguire and Kennedy families. In Irish mythology, the god of the dead was Donn, who lived on an island off the coast of Munster. Nickname: Donnagán. Donnchadh - (DOH-nuh-xa) From the Old Irish donn, meaning 'brown, or chief' + cath, meaning 'battle'. The legendary hero Brian Boru's son was King Donnchad Donn, who died in 1064. It is also a traditional Irish baby boy name in the O'Brien family. Anglicized version: Donagh. Éamon - (AY-mon) The Irish version of the Anglo-Saxon name, Edmund. Ireland's most influential politician of the 20th century was Éamon De Valera, who drafted the 1936 constitution which equates national and territorial unity and establishes the primacy of both the Gaelic language and Catholicism. He was also the founder of Fianna Fail, one of modern Ireland's dominant political parties. Éamon de Valera and Michael Collins were the two most charismatic leaders of the Irish revolution, fighting for Irish independence side-by-side for many years, including the tragic 1916 Easter Uprising. Although a controversial figure, especially concerning his suspected involvement in the assassination of his revolutionary brother, Michael Collins, Éamon de Valera is admired by many for his ambitions for Ireland as well as his fight for her freedom. He is quoted as saying, "...even as a partitioned small nation, we shall go on and strive to play our part in the world, continuing unswervingly to work for the cause of true freedom and for peace and understanding between all nations." Éireamhón - (AY-ra-vohn) From the Old Irish male name Érémon. Not only is this a traditional name in the McSweeney and O'Halloran families, it is also the name of the chief ancestor of Ireland, according to the legendary tales of the Sons of Mil. Érémon led the journey to Ireland in a quest for revenge after his uncle, Ith, had been killed by the Tuatha Dé Danann. Eoghán - (OHN) From the Old Irish éo, meaning 'yew' + gein, meaning 'birth'. This Irish baby boy name was shared by several early saints and kings. One of the most celebrated Ulster heroes was named Eoghán mac Damthacht. On August 23, the Irish celebrate the feast day of Saint Eoghán, who was a 6th century bishop of Tyrone. Description. The modern version of this Irish baby boy name, Eoghan, is currently seeing an upswing in popularity. Although it might be considered a unique boy name in America, it is very popular in Ireland. According to Ireland's Central Statistics Office, Eoghan has been among the top 50 most popular names registered to baby boys in Ireland every year since they began publishing the report in 1998. Click here for more popular Irish boy names. Fionnbharr - (FYUN-var) From the Old Irish finn, meaning 'bright and fair' + barr, meaning 'hair'. The 6th century Saint Finnbarr, whose feast day is celebrated September 25, was the patron of Cork and of Barra in the Outer Hebrides. This was also the name of seven other Irish saints, and is currently a very popular Irish baby boy name. Anglicized version: Finbar. Nicknames include: Barra and Bairre. Fionntán - (FYUN-tawn) From the Old Irish finn, meaning 'bright and fair'. This Irish male name was shared by 74 early Christian saints in Ireland. According to Irish myths, a man named Fintan was the consort of the woman who led the first settlers to Ireland. Cessair led five other women and two men to Ireland after Noah refused to let them on the ark. Legend has it that he was the only one to survive the Great Flood and that he lived for a thousand years with the ability to transform into various animals, such as a salmon, an eagle, and a hawk. Jarlath - (JAR-leth) Jarlath was a 6th century saint who taught Saint Brendan the Navigator. According to Irish legend, Brendan told Jarlath to head East with his chariot and build a new Church wherever his wheel broke. Jarlath drove East continuously until his wheel finally broke at Tuam, where he did indeed build a great Church that became a center for art and scholarly pursuits. He Irish celebrate his feast day June 6. The modern Irish form of Jarlath is Iarlaith (YAHR-le). Lugh - (LOO) This is the name of the great Celtic sun god, Lugh. From the Old Irish lugu, meaning 'shining one'. The God Lugh was the God of Light or the harvest. He was handsome, strong, energetic, passionate, and eternally youthful. He was a not only a great king and warrior, he was also a master at many valued skills. Legend has it that he was a master swordsman, harpist, poet, sorcerer, historian, metalsmith, and craftsman. His feast day, Lughnasadh, is August 1 and it is one of the four primary Celtic fire festivals. Nicknames for Lugh include: Lughán (LOO-awn) and Lughna (LOO-na). Morann - (MOOR-an) From the Old Irish male name, Morand. The origin of this Irish baby boy name is unclear. Many of Finn mac Cumhaill's warriors shared this name. One of ancient Ireland's legendary judges was also named Morann. According to legend, he never gave a false verdict. Ruairí - (ROO-e-ree) From the Old Irish boy name Ruaidrí, which is derived from the words rúad, meaning 'red' + rí, meaning 'king'. This was the name of the last High King of Ireland, Ruaidri Ua Conchobair, who died in 1170. It is also a traditional Irish baby boy name in the MacCann, MacDonnell, McGinley, Mulloy, O'Connor, O'Donnell, and O'Shaughnessy families. Anglicized version: Rory. Seanán - (SHAW-nawn) From the Old Irish sen, meaning 'ancient'. Seanán was the name of 20 early Irish saints, including Saint Senán of Iniscathy. His feast day is celebrated annually on March 8. Tiarnán - (TEER-nawn) From the Old Irish boy name Tigernán, derived from tigerna, meaning 'lord, superior, chief' + the diminutive suffix án. This was the name of many kings and saints, making it one of the most popular Irish baby boy names in ancient and medieval Ireland. Saint Tigernán of County Mayo is probably the most famous, and his feast day is celebrated April 8. Tiarnán was a traditional Irish baby boy name for lads in the O'Rourke, MacGovern, and MacKiernan families. Anglicized version: Tiernan.